Q. I need help finding full text articles. I've located several citations in one of the library databases, but I don't see a way to read the whole article. The availability of full-text articles in library databases depends on negotiations between the database creator and the journal publisher. Sometimes the publisher will allow the database creator to include a copy of the article, and sometimes the publisher will only allow citation information to be included (usually because the publisher wants to charge more for direct access). Regardless of the reasons, finding a citation with no full text can be frustrating! However, there are several ways you can find the full text based on a citation. 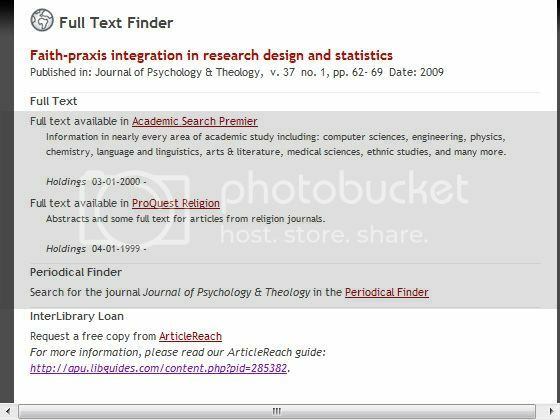 When you find a citation in a database, look for the "Full Text Finder" button. Clicking the button will tell you whether the full text is available in the libraries' collections, either electronically or in hard copy. 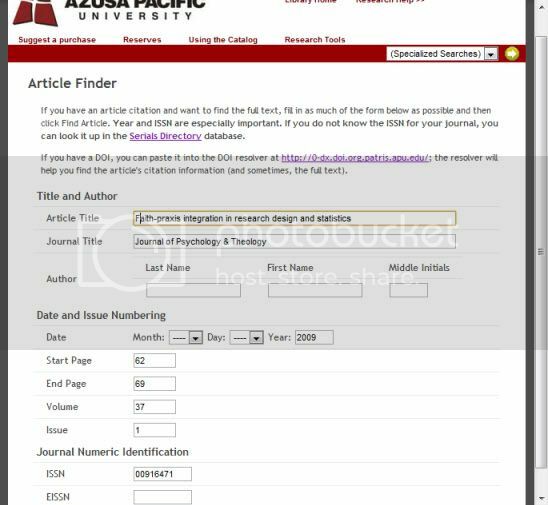 If the Full Text Finder does not locate the article, you can request it through ArticleReach. When you submit an ArticleReach request, our library staff will obtain a copy from another library. This service is free and usually takes 48 hours or less. 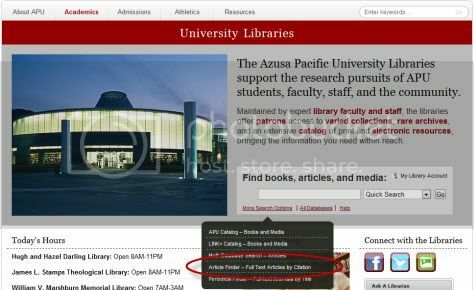 If you're having trouble locating the full text of an article, please don't hesitate to contact a librarian!